When it comes to cocktails, some come and go, while others stand the test of time. From the martini to the Manhattan, these classic libations will never go out of style. But to keep us on our toes, mixologists in Hong Kong continue to shake up the bar scene with new and inventive twists on all our favourite tipples. So for those looking to mix it up at happy hour, here are five new takes on the classics to try now. With cocktails inspired by 13th-century Spain, The Wise King is the perfect bar to drink in authentic Spanish flavours and traditions. But with their #Revived cocktail menu, you can also taste new and unique cocktails created for the 21st century. 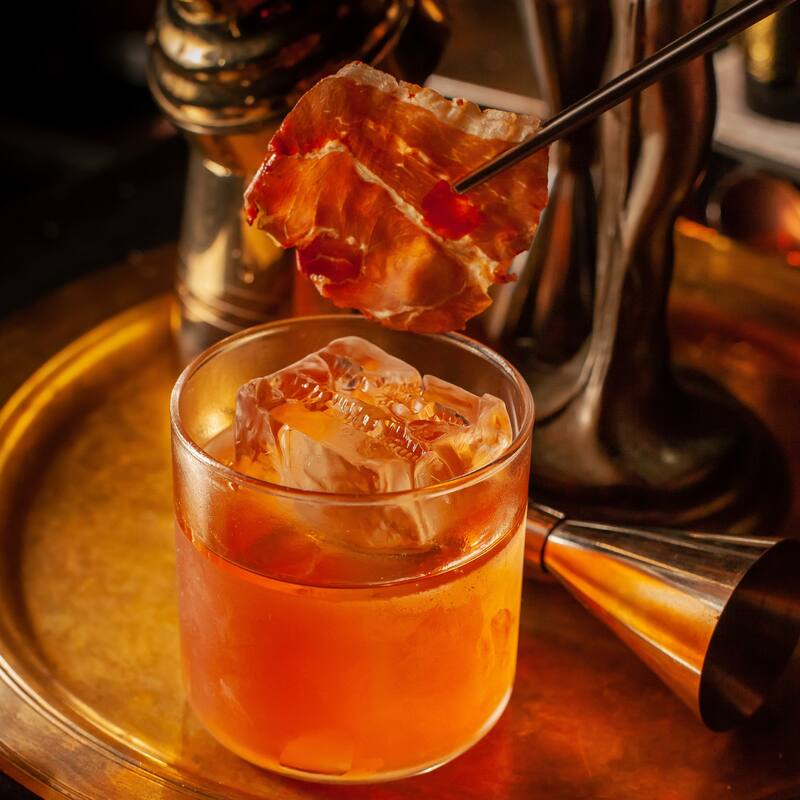 The revamped menu features cocktails enhanced by exotic Spanish ingredients and we’ve already found our new favourite: The #JamónOldFashioned blends Jamón Iberico bourbon with cantaloupe syrup and walnut bitters for a smooth drink with a deep aroma. The finishing touch is a crispy dry-cured Spanish ham garnish, which whets the appetite in between sips. 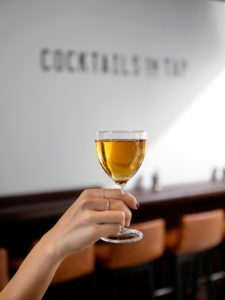 If you haven’t already visited Hong Kong’s first cocktails-on-tap bar, you’ll want to head to Draft Land now. A joint venture between Taiwanese cocktail legend Angus Zou and Hong Kong’s very own award-winning mixologist Antonio Lai, the bar not only offers high-quality cocktails on tap, served at rapid speed, but it also enables guests to taste test any cocktail before they commit to a full drink. If you weren’t sure which to sample first, our recommendation comes in the form of the Soju Martini. Created with Korea’s most popular spirit plus sherry, plum eau de vie and the Southeast Asian flavour of pandan, the martini is bright and refined with hints of fruit and nuts from the spirits. This new high-end gin and shisha rooftop lounge in Tsim Sha Tsui is a great place to kick back. Offering panoramic views overlooking Victoria Harbour and Kowloon Park, HYC holds a truly relaxed vibe that’s surprising for the Kowloon side. What’s more, if you’re willing to be a little adventurous with your G&T, then you’re in good hands. 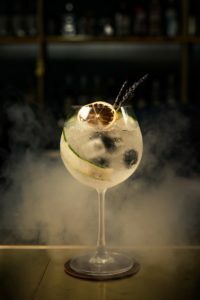 Mixing up some classic gin and tonic combinations with the added theatrics — and aromatics — of smoke, we’ve fallen for a blend of Monkey 47 gin and Fever Tree tonic water, finished with the calming notes of lavender smoke. Named after the 36 copper stills used at The Macallan’s new distillery, it’s no surprise that this new Hollywood Road bar specialises in whisky based cocktails and highballs. (They even have a vault filled with rare whiskies to buy and store.) There is, however, more than just whisky and soda on the menu and B for Mayor’s Boilermaker is our cocktail of choice. 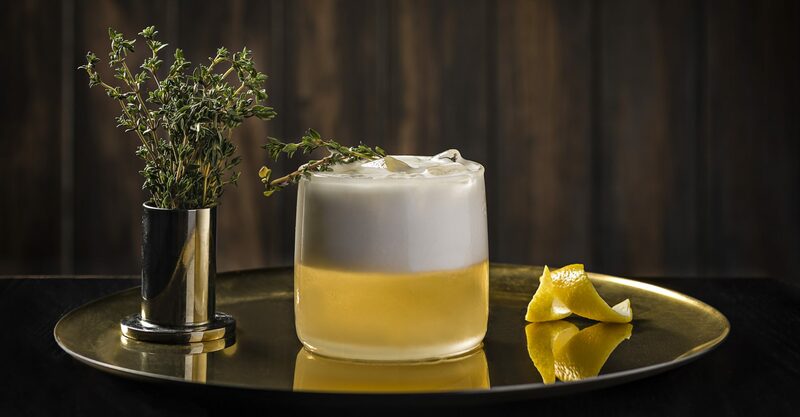 A modern rendition of the Boilermaker — a mixed whisky and beer tradition — the drink is inspired by Antonín Josef Čermák, a Czech miner who became Chicago’s 34th mayor at the height of Prohibition. 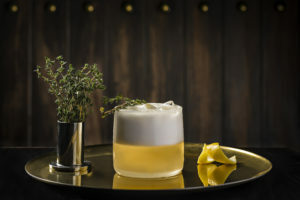 He enjoyed Czechoslovakian liqueur paired with beer; in this cocktail, we enjoy ours with Becherovka herbal liqueur, Rebel Yell Kentucky straight bourbon, thyme syrup and lemon juice topped with beer foam. Hidden behind closed curtains within the retro-jazz speakeasy Foxglove, Frank’s Library is a sleek drinking den with style. Themed around the fictional Englishman and host Frank Minza, the discreet den is designed to make you feel like you’re stepping into his library for insiders only. Always up for good drink, we headed to the secret alcove for their new collection of cocktails in which we found a potent variation on the classic Negroni. 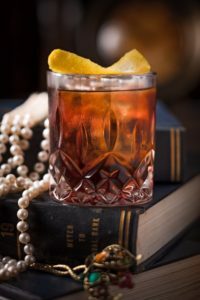 Usually made of one part gin, one part sweet vermouth and one part Campari, the popular Italian cocktail has been given a smoky twist by using 4-week barrel-aged Buffalo Trace Bourbon in place of the gin, which is available in both single and sharing servings.